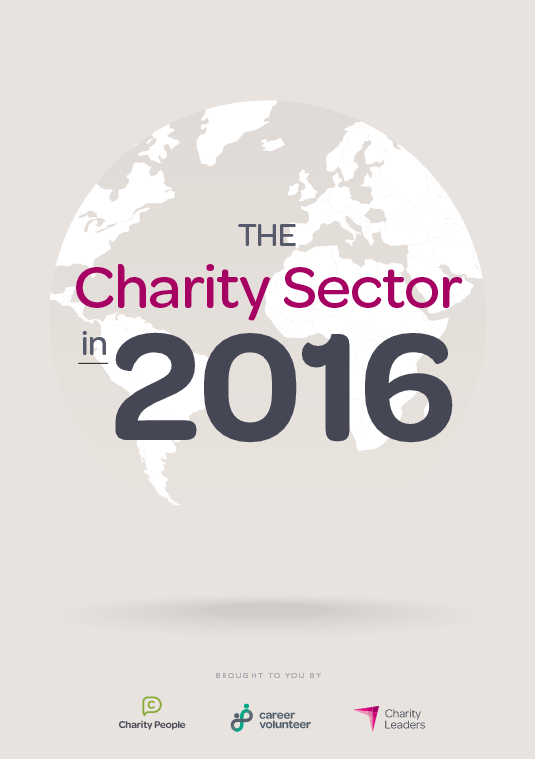 The Charity Sector in 2016 published by Charity People, Career Volunteer and Charity Leaders is an annual collection of predictions by pre-eminent figures from the charity sector that identifies and explores the issues that will shape the year ahead in governance, fundraising, volunteering and corporate/charity relations. For much of 2015, it was a year to forget for the sector. While small charities received a lot of praise, some larger household name charities came under fire for fundraising malpractice and negligent governance. But as ever it’s not all doom and gloom: volunteering has gone from strength to strength – corporate volunteering quietly being on the rise with more attention drawn to the economic benefits it brings to the nation, the call for more young trustees has had a successful response from the sector having being galvanised by some fantastic campaigning and the Etherington Review gave rise to some systemically important changes such as the new Fundraising Regulator.